Hi! I’m Garry Rodgers and I’ve been a serious blogger for four years. I’m a retired homicide detective and forensic coroner, now crime writer, so my posts are designed to provoke thoughts about life, death, and writing. Four months ago — right out of the blue — I was contacted by the Huffington Post and paid to write a feature article on crime scenes. This led to being invited as a regular, contributing blogger with the keys to the Huff Post’s “Backstage”. Now I can directly submit as often as I like and already have over two dozen articles published on the Huff. Still, there’s no guarantee they’ll publish my posts — especially if they’re not clean copy. Serious bloggers know the Huffington Post is the world’s largest blog site. Getting published on the Huff Post is a significant badge of achievement — it’s the gold standard of blogging — social approval by a major media corporation that your work meets its mark of excellence. You just can’t buy this type of exposure. As a blogger, you have something to say and you want to hear what others have to say back. If you have quality content — and that’s the key — you’ll want to say it on the Huffington Post. “But how in the world do I ever get noticed?” you ask. Well, it might not be easy, but it can be done. Here are ten top tips on how to improve your chances for getting published on the Huffington Post. Salaried Employees — Such as reporters, journalists, and editors who are full-time — generally based in main centers like New York, Toronto, and London. 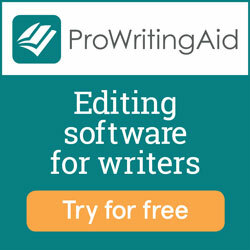 Assignment Writers — Who are freelancers and paid a fixed rate to work on specifically commissioned projects. Contributing Bloggers — Who are unpaid, but are a screened and proven commodity. They may submit posts whenever they choose through the Huff’s exclusive internet portal called Backstage. Occasional Guest Bloggers — Who submit posts on an unpaid, unsolicited basis. This is the Huff’s slush pile and, for the most part, is a longshot at getting accepted. The good news for unknown bloggers is that the Huff editors are constantly looking for new contributors — especially unique, talented contributors with interesting voices. The challenge is in getting yourself noticed. Read this article by Huffington Post senior editor, Jason Linkins: How The Huffington Post Works (In Case You Were Wondering). After getting over the shock of this invite, I thoroughly researched the subject matter (which was on crime scene cleaning) and what the HuffPost expected in format. My first submission raised the editorial staff’s confidence that I’d be a long-term “right fit” and that led to the next invite — becoming a regular Contributing Blogger with direct access to the Backstage. What makes the “right fit”? The combination of everything you do as a blogger. It’s in the quality of content you write, the uniqueness of your voice, your professional presence, and your commitment to the craft. It’s in your platform, your brand, and your profile. But — most importantly — it’s in the value you offer to them. Bear in mind that publishing is an industry that creates products just like any other business. Those products must have a consumer demand in order to be saleable. They must be valuable to a volume of readers, whether for education, entertainment, or enlightenment. Arianna Huffington has often been quoted saying she likes stories about how you ‘make life work’ — how you balance work, family, self, and everything else. We all have reasons for wanting to belong to a club, especially one as exclusive as the Huffington Post Blogging Team. But that doesn’t mean there’s a fee to pay, a small child to sacrifice, or a secret handshake to learn. Pure and simple, the Huff Post wants intelligent voices with something unique to offer the Huff community through submission of solid content that has the ability to be shared and commented on. A lot of the voice really depends on the motivation that vocalizes it. Are you doing this for money? Remember as a blogger you’re not going to be paid by cash. You’ll be paid in social currency and that can be worth a small fortune. Are you doing this to promote yourself and/or your product or affiliation? Take that into account when designing your content. Do you have a hidden agenda? Be careful about this. The gatekeepers at the Huff are very astute. To be recognized as a credible resource by a large audience. The potential to profit elsewhere — both in money and self-esteem. To build my mailing list through the amplified exposure. I had stories and information to share. To learn from the experience. The opportunity to blog for the Huffington Post fulfills all this — more than I ever imagined. Here’s the reason that disqualifies more submissions than all others combined –your post is not written to acceptable, commercially-viable blogging standards, let alone to a Huff Post standard. Blogging is an entirely different style of writing from novels, non-fiction, essays, Facebook messages, Tweets, recipes, how-tos, and letters to your grandma. It takes a learning curve — the length depends entirely on your experience and your willingness to learn. I strongly recommend investing in yourself by taking credible, online training courses in blogging. Not just writing courses. Blogging courses. You can read all the online tips you want and follow all kinds of more advanced bloggers, but nothing’s going to pay better returns that learning in a structured format from people who are truly experts. Tribe Writers — with Jeff Goins of GoinsWriter.com. Blogging Certification Program — with Jon Morrow at BoostBlogTraffic.com. I promise that no matter your level of skill, these courses will make a definite difference and increase your odds of getting noticed by Huff Post editors. Garry Rodgers is a retired homicide detective and forensic coroner, now bestselling crime writer. Garry lives on Vancouver Island on Canada’s west coast and hosts the popular blog DyingWords.net, as well as regularly contributes to the Huffington Post.